Wine red and black suede tie-fastening sandals featuring an open almond toe, slender two-tone tie fastening strap to toes, and a two-tone tie-fastening ankle strap. Alexandre Birman sandals have a 10.5cm high heel. 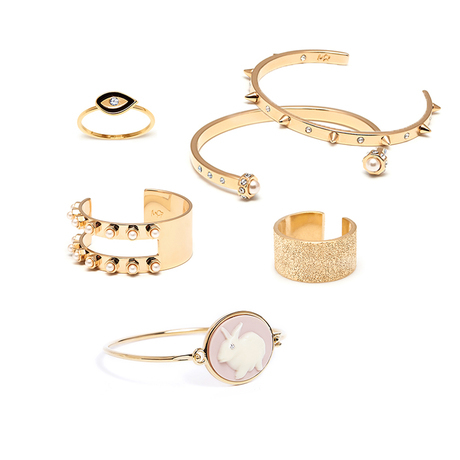 Grab a little glitter on your way out the door by picking up this pretty pillbox clutch from Anya Hindmarch. The perfect size to house the essentials for an evening out. 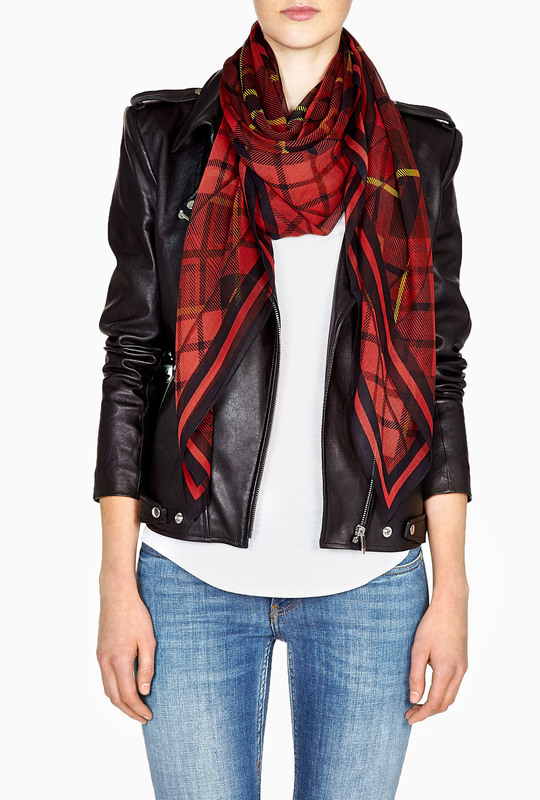 Red tartan silk georgette scarf featuring the MCQ Alexander McQueen logo to corner. MCQ Alexander McQueen scarf measures 125cm x 125cm. 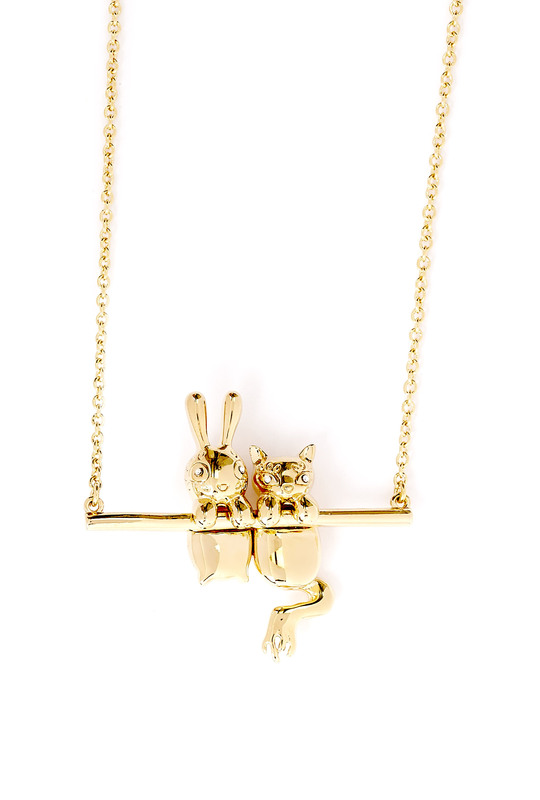 Gold-tone pendant bunny and rue charm necklace featuring a bar charm with cat and rabbit figurines, a fine long length chain and a gold-tone designer embossed logo charm. Black lace Pandora fit and flare shift dress featuring a round neck, three-quarter length sleeves with flared shape and a concealed zip fastening to the back.